Ironically this year's rules package with less horsepower is proving to be a handful for some of the Sprint Cup Series greats. For that reason I do not weight 2014 statistics heavily, but instead turn to 2013 for guidance. 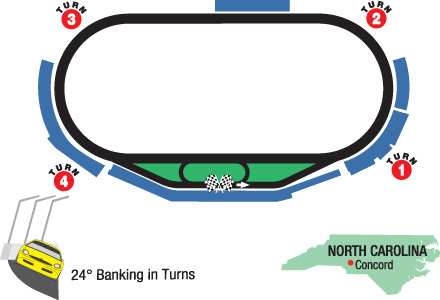 Likely Suspects: The Coca-Cola 600 is the longest race of the season. A quality performance requires good equipment, strategic driving, flawless pit stops and good decisions from the crew chief. A little luck can't hurt either. These drivers will get your maximum fantasy points this week: Kevin Harvick, Kyle Busch, Jimmie Johnson, Kurt Busch, Matt Kenseth, Denny Hamlin, Jeff Gordon and Carl Edwards. My 2 Cents: This week's no-brainer pick is a three-way tie among Kevin Harvick, Kyle Busch and Jamie McMurray. My next picks are Martin Truex Jr., Kurt Busch and Carl Edwards. I will complete my team with Danica Patrick and Chase Elliott. My final four: Kyle Busch, Kurt Busch, Martin Truex Jr. and Danica Patrick.